Army veteran Daniel Francis Daddio was arrested and charged with disorderly conduct and indecent exposure last week, according to police documents released by the Country Meadows Justice Court in Arizona. The incident, first reported by Task and Purpose, allegedly happened during a Metallica concert. In their report, police said Daddio was ”heavily intoxicated” when he urinated on a family of three, including a 10-year-old girl. When the father “turned to see where the liquid was coming from, he observed Daddio standing behind them in the row of seats just above theirs” and exposing himself. The father confronted Daddio about urinating on his daughter, at which time Daddio just shrugged, the report said. In their report, police confirmed that Daddio is an Army veteran. Task and Purpose reported a Rally Point profile in Daddio’s name identifies him as a former Special Forces senior sergeant with a final rank of master sergeant. 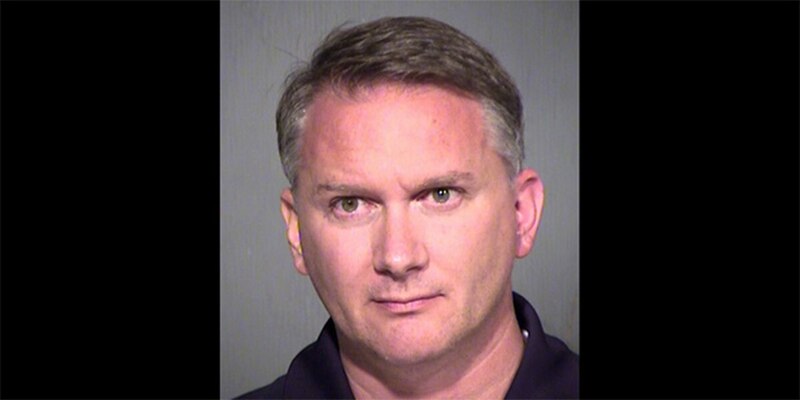 The incident, which took place Aug. 4 at the University of Phoenix Stadium, was followed by an initial court hearing. “In the 15 years I’ve been on the bench, this is one of the most disgusting scenarios I’ve ever read,” the judge said during the hearing. Daddio was released on his own recognizance. His next court date is Aug. 18.